If there’s anything that is becoming clear with The Australian, Murdoch’s loss making political megaphone, it’s that it wants Peta Credlin gone. Today’s piece by John Lyons places another set of knives in the back of the Prime Minister’s Chief of Staff. And what a variety of knives they are. The headline and first picture caption set the tone. Tony Abbott in command, but is Peta Credlin in control? Tony Abbott describes Peta Credlin as ‘the greatest political warrior’ with whom he has ever worked. Here it is that we are positioned to see Credlin as some kind of warrior who has risen above her station. In order to support that, we are provided with this high level leak. AS he sat down for a meeting in Canberra on November 25 last year, Tony Abbott was a man under pressure. Only days before he had announced to the nation that he was going to clear the political “barnacles” off the ship of state. Abbott was engulfed by domestic crises. But on this day, he had something else on his mind: a unilateral invasion of Iraq. Abbott wanted Australia to take on Islamic State. Australia, he told the meeting, could take a lead with an invasion of northern Iraq using 3500 of our ground troops. His powerful chief of staff, Peta Credlin, offered no resistance. Then Abbott tried out his audacious idea on military planners. As word of the proposal swept through the military hierarchy there was resounding opposition. What we see first of all is that Tony Abbott has had a barking mad idea, suggesting some of Biggles style action, going into Iraq and conduct a unilateral action, giving a jolly old bashing to those rotters in ISIS. The inference that springs from it – that Credlin should have stopped him, is quite extraordinary. There were other people in the room, yet Credlin is collecting the brunt of the blame for not saying something. Though Lyons doesn’t manage to blame Credlin for Abbott’s other moment of unilateral madness, which undermines somewhat his inference that Credlin is the problem, rather than Abbott. “Has he ever come up with something like this before?” one military official asked. Four months earlier Paul Kelly had revealed in The Australian that following the shooting down of Malaysia Airlines flight MH17, Abbott wanted to put 1000 Australian troops into Ukraine. The Prime Minister had to be talked out of that idea. The next section of the piece continues the idea that maybe Abbott’s military strong man act isn’t as barking mad as it may seem, that all he needs is for Credlin to clip his wings. This is Abbott the strong man, “shirt-fronting” Vladimir Putin and destroying the Islamic State “death cult”. This is the Abbott who works best with the public — providing his only glimmers of polling success in a miserable 17 months. It is little surprise that this is where he is comfortable. Insiders say that, these days, Abbott sits for much of the day in his office in Parliament House pondering national security, Islamic State and reading Winston Churchill. He has 50 staff in his office but he insists on writing many of his speeches as Credlin, sitting in the office next door, works the phones, managing the detail. Far from telling us that this is Credlin’s fault, what we glean is that Abbott has the same Churchillian delusion as Jim Hacker shows in Yes Minister and Yes Prime Minister. But this doesn’t stop Lyons from making one of the most extraordinary calls in the piece – that Credlin is a “co-prime minister”. He is sounding exactly like the swarm of Labor supporting Twitter warriors who have attacked Credlin constantly since before the 2013 election. She is, as Abbott himself has said, “the fiercest political warrior” he has ever worked with. This is the Australian duumvirate, a new form of government in which Abbott and Credlin run the country. They are, in reality, co-prime ministers. As ever with the pieces that assert this, we are provided with a range of knives thrown at the figure of Credlin from people within the Government. Thus we have backgrounding stories provided by Liberal people unhappy with Credlin, such as this one, that has appeared a few time, in a number of variations. ON election night in 2013, Abbott’s staff, journalists and friends gathered at the Four Seasons Hotel overlooking Sydney Harbour. Credlin was hosting a victory party and the mood was triumphant. When Tony O’Leary, long-time media adviser to John Howard and a key figure in Abbott’s successful election campaign, arrived, he was met by security guards who questioned his right to enter. The guards disappeared inside to check whether he was welcome. Twenty minutes later O’Leary was escorted from the premises by security. It was a public humiliation for the Howard loyalist in front of many of the journalists he had been dealing with for 15 years. Credlin denies she blocked O’Leary that night. But to many in the Liberal Party, O’Leary had been “Credlined”, a verb now commonly used by Liberal staff members. Asked for a definition, one cabinet minister’s staff member ran his finger across his neck. So it is that we go back to the oft used well of comments about the way Credlin runs the show. And then the assertions that Credlin will go – hopefully, for the backgrounder / knife thrower, as a result of this kind of comment to the Australian. One minister told Inquirer Credlin’s power would not continue. The party would bring down Abbott if they had to, he said. Ominously for Abbott, the minister is someone who has publicly been defending him. “They (Abbott and Credlin) have unnecessarily made enemies which means there’s no reservoir of goodwill when they need it,” he said. One Liberal powerbroker told Inquirer: “Abbott has two problems — Credlin’s control and Joe’s (Hockey) poor performance as Treasurer. Another influential Liberal says that Abbott will inevitably face another challenge unless he acts. Next comes the new standard refrain from the Oz in terms of their man Tony Abbott, that he was an excellent opposition leader who “destroyed” Rudd and Gillard (following the principle that make a statement often enough and it becomes truth) – but now need to stop being an opposition. IN opposition, Abbott and Credlin proved to be an extraordinary fighting unit as they destroyed two Labor prime ministers: Kevin Rudd and Julia Gillard. Across six years they have become an inseparable unit: in 2013, for example, Credlin spent 200 days on the road, mostly with Abbott. But this duo in combat mode, in office, is now endangering the government. Their modus operandi is what helped drive 39 members of the parliamentary party to push for a leadership spill two weeks ago. The blame for this problem is, from here on, is now pushed firmly at Credlin. In this new order, Credlin interrupts ministers in budget meetings; effectively runs the Expenditure Review Committee as Abbott sits silently; and man­ages the Cabinet Office as well as the PM’s office. While previous prime ministerial advisers have coveted anonymity, Credlin makes no secret of her opinion. Last year, standing next to Abbott, she told a group of Australian journalists that Barack Obama was “the lamest of lame ducks”. Abbott said nothing. On one occasion, Abbott made no complaint when Credlin put her hand in front of his face to stop him replying to a question from an editor. Sometimes the chief of staff even finishes the Prime Minister’s sentences. Sometimes she answers for him even as they sit alongside each other. At a dinner in Canberra last year Abbott was fired up over the international profile he had gained by threatening to “shirt-front” Putin over flight MH17. One guest asked Abbott about national security, but it was Credlin who answered. Bob Hawke, Paul Keating and John Howard all had strong advisers but none of them would have cut across their boss in this manner. Remarkably, Credlin was a key architect of the budget, sitting in on ERC meetings, sometimes interrupting ministers. “None of us told her to back off, which maybe we should have,” one of those in the meetings said. These incidents are all small, cherry picked examples of times where Credlin appears to have forgotten herself and spoken out of turn. They are not, however, solid proof of her being a “co-prime minister”. Instead, they show a political adviser who has been allowed to have a seat at the table and every so often has not acted as a chief of staff should. These incidents do not explain, however, how she is responsible for Abbott running an opposition instead of a Government. They do also explain how members of the cabinet may well have agreed with some of her ideas, or recall how they may have been ignored (hence their not saying anything at the time), but now realise that the tactic is to blame Credlin for the current mess. The knives thrown at Credlin continues, this time from failed leadership aspirant and jumper from the post-Howard ship, Peter Costello. The knives at Credlin are coming thick and fast by this stage, with assertions made by unnamed people that she has control over EVERYTHING, which is then followed with the astonishing accusation that Credlin selects his TIES. Gosh. Credlin’s control over Abbott appears complete — she decides who he sees, what the agenda is, who is appointed to run the offices of cabinet ministers, the order of cabinet business. It is then we see a range of opinions provided by unnamed people as to why “that woman” controls the “weak” man – even citing her superior height as being an issue. One of Abbott’s oldest friends says the relationship between Abbott and Credlin is “an elusive male-female dynamic”. At 180cm, the 43-year-old Credlin towers over the Prime Minister. But it’s Abbott’s “exaggerated gallantry towards women”, according to the old friend, which explains why Abbott allows her such a dominant role. The friend adds that Abbott is also “lazy on detail”, another reason Credlin has been left to micro-manage the government. Indeed, many who know Abbott well say that he believes he cannot run the country without her. “You wouldn’t be here if it wasn’t for Peta,” he has told colleagues who raised complaints with him. Then, in typical journalist quoting from other journalists style, we have Malcolm Farr making a comment about Abbott’s masculinity, saying he “plays male games” but needs looking after from, seemingly in Farr’s logic, a mothering figure. Says political journalist Malcolm Farr: “If it wasn’t for some of those backbenchers attending a thousand sausage sizzles and Macedonian national days Abbott wouldn’t be there. Another element to the list of Credlin crimes – that The Polling Guru can’t get to him. So insular has Abbott become that it took him 16 months after winning the election to have a meeting with his pollster, Mark Textor. It wouldn’t take long for Textor or anyone else with polling figures to tell Abbott what his problem in polling is. It’s not Credlin, who is still largely unknown outside Canberra and the world of political analysis pieces, it’s Abbott. He’s awkward, weird, has broken promises and made bizarre decisions. That’s a 3 minute conversation. However, the article trundles along with the knifing of Credlin from unnamed sources – as well as an annoyance at how long information is returned to Lyons, which is used as further evidence against her. The PM’s office, says another insider, is riven with distrust. The bad blood started early in the government. When Jane McMillan was hired by Credlin as director of the press office Credlin told McMillan that another staff member had not wanted her to get the job. It was a revelation that created instant ill will within the office. Credlin would later fall out bitterly with McMillan. An indication of how dysfunctional the office has become is that last week the man who replaced McMillan, Andrew Hirst, was not able to answer a simple question: Does Jane McMillan still work for the PM? “I’ll have to get back to you,” he replied. Another source from the office said Credlin had tried to sideline anyone who had a direct line to Abbott and replace them with former colleagues from the office of Helen Coonan, where Credlin was chief of staff in the Howard years. Another problem is that Credlin’s husband is the Liberal Party’s federal director, Brian Loughnane. Previously, if a minister or donor had a problem with the PM’s office they could approach the federal director, and vice versa. Then we have oft repeated refrain that the wife of the Federal Director should not be in the job (which is a good question to be asked). This time, however, it’s told through the prism of Credlin being in the shower, which is apparently another crime. Former Liberal Party federal treasurer Michael Yabsley was someone who dealt with the problem first hand. In 2010, journalist Niki Savva detailed in The Australian the resignation of Yabsley. On other occasions, however, when commentators have sug­gested how the PM’s office could engage more politically with backbenchers or cabinet, Loughnane himself has offered the commentators some encouragement. Another knife – from the perspective of staffers unable to live in Canberra being subject to the budget cuts going through the place. Credlin is to blame for these budget cuts, it seems. THE Prime Minister, such a street-fighter in opposition, is now fighting on too many fronts, including some created by his trusted chief of staff. Even as the government has been imploding, Credlin has insisted on approving appointments, not just for her own side but for independent MPs. Indeed, she has caused a revolt by crossbenchers over her control of their staff appointments, insisting all staff must live in Canberra or in the electorate of their member to save money. The edict led to Tasmanian senator Jacqui Lambie recently threatening to sue the government for discrimination over the refusal to allow one of her staff to live in Brisbane. The staff member has health issues that require her to remain at her home in Brisbane rather than move to Tasmania. Abbott was forced to intervene personally in this case. It’s an example of his confused priorities: as his government crumbles around him, the PM takes time out to micro-manage a problem with a senator’s staff member. Credlin’s policy has also led to a struggle with Foreign Minister Julie Bishop whose senior adviser, Murray Hansen, is Brisbane based. Bishop refused Credlin’s edict that he move to Perth. So it is that we have another knife being thrown by Nick Xenophon – but not at Credlin, instead at Abbott, no matter how hard Lyons seems to infer that it’s her that is really to blame. In contrast, Xenophon says, Malcolm Turnbull, Bishop and Scott Morrison are “all very capable people with good communications skills”. And now for another political journalist’s cliche – the “Star Chamber”. Which they never are. Through the government’s appointments committee, now referred to by some as the “Star Chamber”, Credlin has vetoed several candidates put forward by cabinet ministers. Under John Howard, Peter Reith chaired this committee and rarely used his veto, insisting that a cabinet minister should be trusted with being able to choose the person who ran their office. But Abbott has appeared happy to give Credlin her head. By this stage of the article, we are being left in no doubt that Credlin is the co-PM, so that is the tone of it. The unnamed sources aren’t even cited for this assertion that it was Credlin (and Abbott) who wanted to sack Martin Parkinson, rather than just Abbott. One of the conventions in Australian government has been that the Treasurer has been free to hire or fire the all-important Treasury head. After winning office, Hockey decided that he wanted to retain Martin Parkinson as head of Treasury but Abbott and Credlin decided Parkinson would lose his job. This is my favourite – a “political observer”. That could be literally anyone who makes comments on Federal politics. It could be a blogger, a commenter on the Guardian, a writer for the Drum, a politician, anyone. 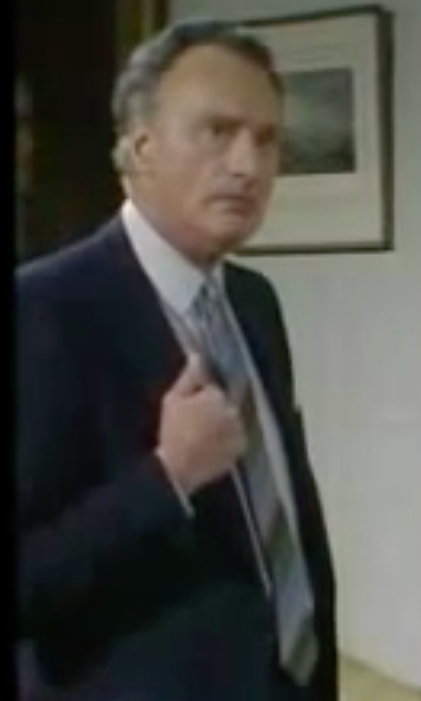 But because that commentator has lauded Howard, that’s enough for Lyons. It’s a rambling, unfocused piece at many times, where the focus on attacking Credlin is lost at times, especially when there’s a realisation dawning that perhaps it is Abbott and his awkwardness and inability to think of the consequences of his words that is the problem. A central problem is that Abbott is not good on his feet. It’s not surprising that Credlin tries to keep him on a tight leash. When he speaks off the cuff he can say things that are controversial, including his comment last year that Australia was unsettled, or scarcely settled, before the British ­arrived. It was in Melbourne on July 3. Abbott was the dinner speaker at the Melbourne Institute conference co-partnered by The Australian. Sitting at the main table was Abbott’s adviser on indigenous affairs, Warren Mundine. It was not to be. Answering a question on an unrelated issue, Abbott wandered into tricky territory: “I guess our country owes its existence to a form of foreign investment by the British government in the then unsettled or scarcely settled great south land.” At the top table, Mundine blanched. It is then we go into some pseudo psychology from another “source”, this time a “close friend”, trying to understand Tony. This is one of the more interesting nuggets from the piece – the reason Abbott ran in the 2009 leadership ballot. It was his fellow Riverview old boy, Barnaby, that talked him into it. The accidental nature of Abbott’s rise to the highest office is revealed by the manner in which he became opposition leader. When Liberals turned against Turnbull, it was Hockey who was well positioned. The night before the vote, the Nationals’ Barnaby Joyce visited Abbott’s Canberra flat to urge him to contest the leadership. “There needs to be an anti-ETS candidate,” Joyce told him, a reference to the fact both Turnbull and Hockey supported an emissions trading scheme. Abbott had not planned to run. He had been bruised by his experience in 2007 after the defeat of the Howard government when he could not get a single person in the partyroom to vote for him. The right wing in the party told him he was “too conservative”. But on this occasion Joyce convinced him to run, and he defeated Turnbull by one vote. 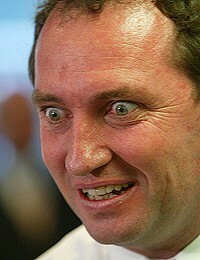 Barnaby Joyce! Whenever someone writes a history of these days in politics, someone should write a book that couples the two maddies, the outsiders Abbott and Joyce, because they symbolise just how odd these times have become. It is now towards the end that it’s Abbott that is the focus of the criticism. It must really sting the “Credlin’s Got to Go” crowd that she didn’t know about Abbott’s Sir Philip moment – that we had a chance to see as a nation just how obsessively old fashioned English Abbott actually is. Today, the view among his parliamentary colleagues is that while Abbott may “hang on” for a few months, he is terminally wounded. The dominant view is that the knighting of Prince Philip made a deeply unpopular leader a national figure of fun. While there had been rumblings about Abbott’s judgment, for many colleagues the morning of Tuesday, January 27, was the crunch point. It was the day after Australia Day and the full impact of Abbott granting of a knighthood to the prince reverberated across the country. Abbott was savaged. Even in his heartland, Sydney’s 2GB radio, the audience mocked the PM. If Abbott was listening that day, he would have detected something much worse than anger — ridicule. One caller said Abbott should resign and be appointed “Lord Tony of Warringah”, a reference to Abbott’s Sydney electorate. TWO of Australia’s most successful PMs — Bob Hawke and John Howard — took advice from many advisers, but Abbott lacks an adviser of the stature of Dennis Richardson, who ran Hawke’s office, or Arthur Sinodinos, who ran Howard’s office. And, ironically, it is Sinodinos who proved a key player in Abbott’s recent turmoil. Sinodinos was assistant treasurer until allegations before the NSW Independent Commission Against Corruption led him to ­resign. Abbott had held open Sinodinos’s position while ICAC considered matters relating to him but Sinodinos thought he should resign until ICAC had completed the investigation. Abbott agreed and the plan was that on December 19 they would exchange letters in which Sinodinos would resign and Abbott would pay tribute. But the night before, the story was leaked to the media. It meant Sinodinos lost any control of how the story would be portrayed and that instead the impression was created that Abbott had forced him out. Sinodinos was outraged. At 11.30 on the night of December 18 he phoned Abbott. Abbott was on the defensive — he replied that there had been media inquiries and his staff had tried to “hose them down”. Sinodinos was buying none of it. He was convinced — and remains convinced — that Credlin knifed him and had authorised the leak. Both Credlin and McMillan insisted they had not leaked the information but the next day the two women had a blazing row, witnessed by many in the Prime Minister’s office. It was a further fracturing in an already Balkanised workplace. But Sinodinos got his revenge. It was he who ensured there would be a leadership spill motion against Abbott when he told Sky News’ David Speers that Abbott did not have his unconditional support. Sinodinos, a former Treasury official with shrewd political judgment, was Howard’s closest confidant. But now Sinodinos has joined O’Leary as two of Howard’s most trusted advisers who have been humiliated by Credlin. It would be wrong to say Sinodinos is doing the numbers for Turnbull, but many of the 39 who voted against Abbott recently want Sin­odinos to be their strategist. One of Sinodinos’s roles under Howard was to keep the backbench happy. He would organise access to Howard for any backbencher feeling left out and let Howard know when a back­bencher was having problems so Howard could telephone. Sinodinos was a masterful political operator in Howard’s office. On one occasion when Abbott was health minister under Howard, ­Sinodinos saved Abbott from himself. Abbott appeared in the press gallery in Canberra with a draft speech announcing a federal government takeover of every hospital in Australia. It was a radical idea and Abbott gave the speech to a journalist on the condition he waited until it was cleared. Abbott then gave it to Sinodinos, who thought it was a political disaster. The idea was quickly killed. While this all targets Credlin and makes her look poor in comparison to the likes of Sinodinos, the final story highlights the fact that it’s Abbott that is the real issue with the Government’s woes, not Credlin. He’s had these crazy, off script, oddball ideas for years. There’s only so much an adviser can help. This doesn’t distract Lyons from still chattering about Credlin and repeating advice provided at a dinner party. THE events of the past few weeks have devastated trust inside the government. Abbott has altered his language to reflect this, changing his prepared speech to the National Press Club from saying the public had elected “us” to govern without chaos, to the public elected “me”. The relationship between Bishop and Credlin is now poisonous — the two despise each other. The rupture originated in an attempt by Credlin to control media appearances of ministers. It came to a head when the Prime Minister’s office telephoned Bishop after a media appearance to register displeasure that the appearance had not been approved. According to one insider, Bishop was outraged. Political commentator Paul Kelly says the origin of Abbott’s problems is the budget. Seasoned political observers are wondering whether Abbott has what it takes. This next statement is quite extraordinary – making the suggestion that Abbott is really only ever good after a couple of bottles of Shiraz. One talks of the fact that the qualities that make him a fabulous dinner companion, particularly after the second bottle of shiraz, could make him unsuitable as Prime Minister. So, after all these words, comments, sources, commentators – seasoned and unseasoned, we get to the conclusion. It’s a dysfunctional Prime Ministership and it will go down, due in large part to Abbott’s refusal to sack Credlin (despite the efforts of the Oz and others). IT is impossible to avoid the conclusion that dysfunction is entrenched in the highest office in the land — and that Abbott and Credlin will survive or crash ­together. It is like a bizarre political death pact. The loyalty the PM is showing a staff member has rarely been seen in this country. And the situation is growing worse all the time for Abbott. Even since the attempted leadership spill, Abbott has failed to stem the blood. As cabinet ministers bayed for the scalps of Credlin or Hockey, Abbott sacked Philip Ruddock, “the father of the house” who was one of the heroes of the Howard government for pursuing a tough line on asylum-seekers. Last week, I spent more than two hours talking to Credlin. We spoke in her office, where the walls are covered with memorabilia, including a cartoon by this paper’s political cartoonist Bill Leak, and an illustration by the paper’s Eric Lobbecke. Both framed pieces make fun of the chief of staff’s relationship with the PM, but Credlin seems to be up for the joke. In our conversation, she was open and gracious but I was left with the firm view that she has no intention of falling on her sword. And it is clear that Abbott has no intention of forcing her out. No, that job of forcing her out seems to be the chief desire of the Australian – even if that also means that Abbott wears the collateral damage that will be caused by the kinds of revelations that Lyons makes in this piece.